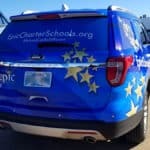 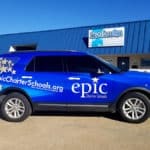 This is a great example of a clean, eye-catching full wrap on a newer Ford Explorer. 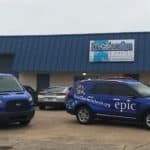 We always try to steer clients to keep the design simple and clean. 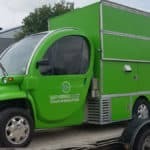 Typically, keeping the information in the design to three pieces works well – who you are, what you do, and how to contact you. 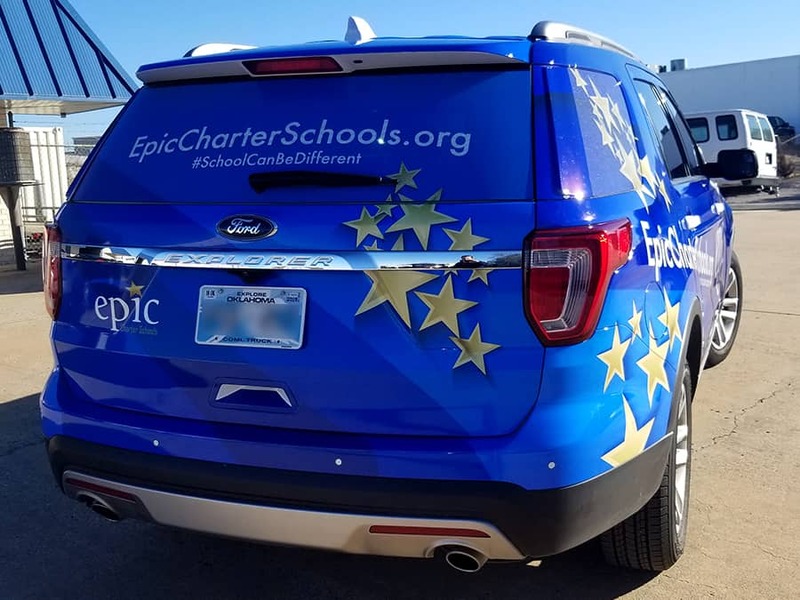 This design is bright, catches your eye, and you can quickly see the website to know where to go to find out more about their school. 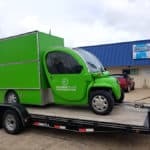 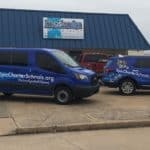 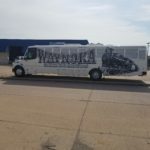 If you’d like to find out more about wrapping your company or organization’s vehicle, give Precision Sign & Design a call today at 918-430-1102. 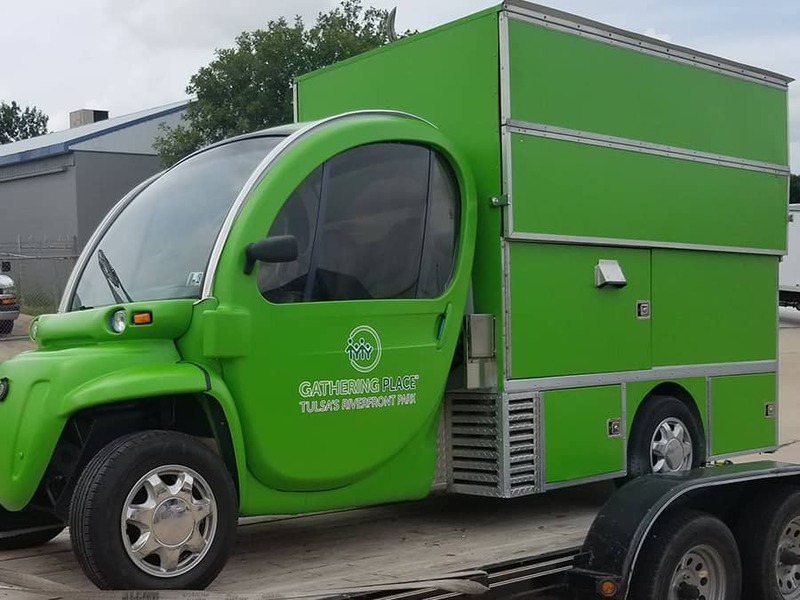 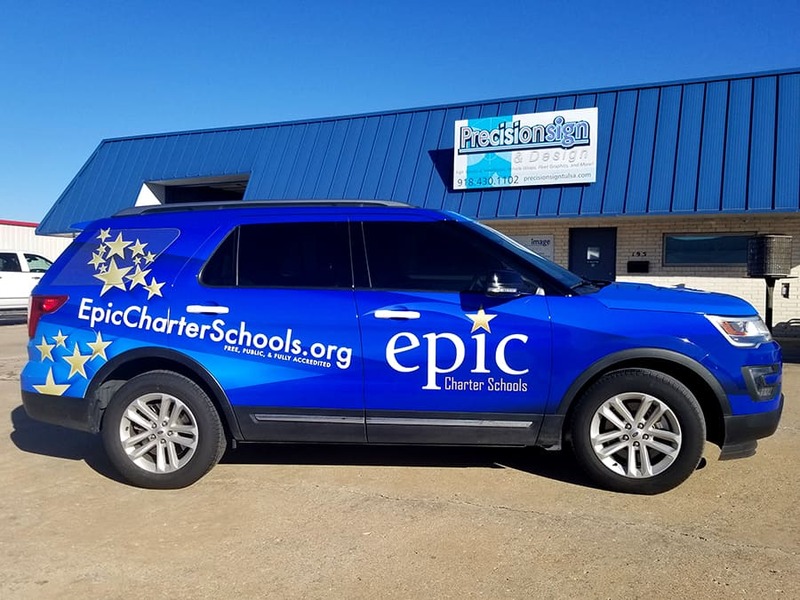 This entry was posted in Vehicle Wraps and tagged Commerical Vehicle Graphics, Fleet Graphic, School Transportation, Vehicle Wrap on January 7, 2019 by Steve Ballard. 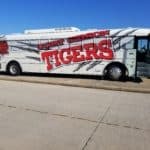 This entry was posted in Vehicle Wraps and tagged Activity Bus, Activity Bus Wrap, Branding Commerical Vehicles, Broadcasting Fleet Graphics, Bus Graphics, Bus Wrap, School Activity Bus, School Bus, School Transportation on December 13, 2018 by Steve Ballard. 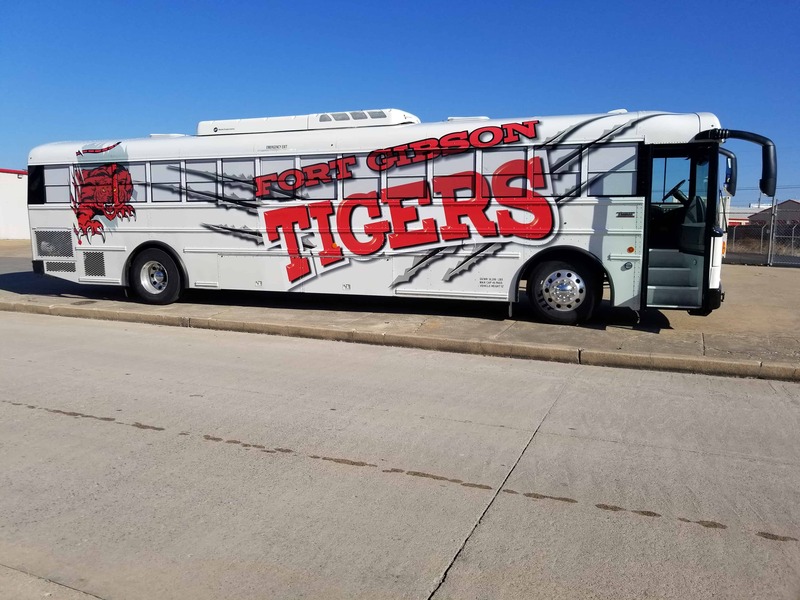 This bus will certainly make a statement whether it’s driving down the highway or sitting outside a football stadium! 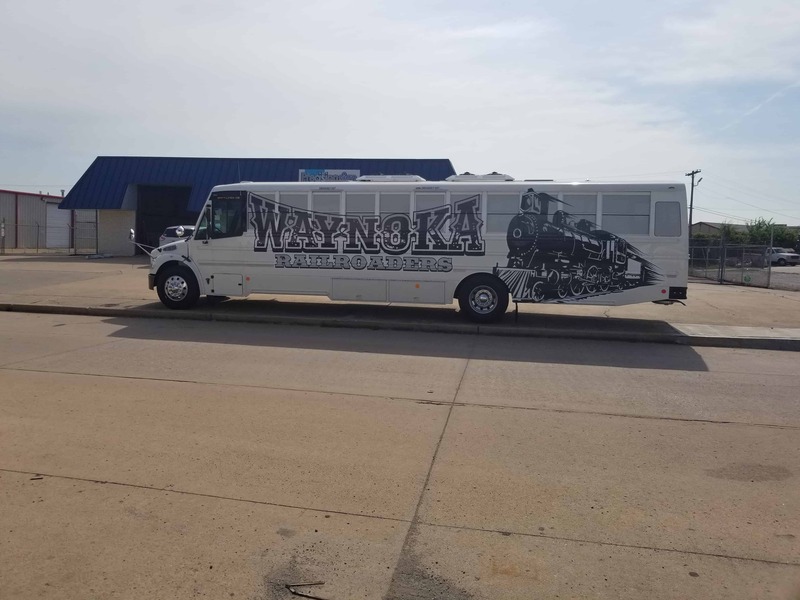 Taking a cue from their mascot, The Railroaders, we designed this bus to look like a diesel locomotive. 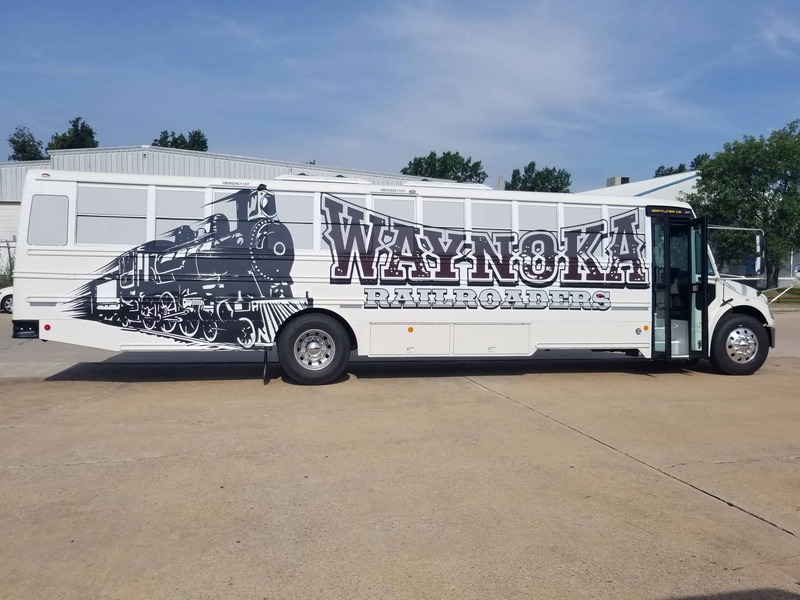 Extra care was taken to incorporate their school colors and make the entire bus look like it was an actual train. 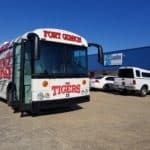 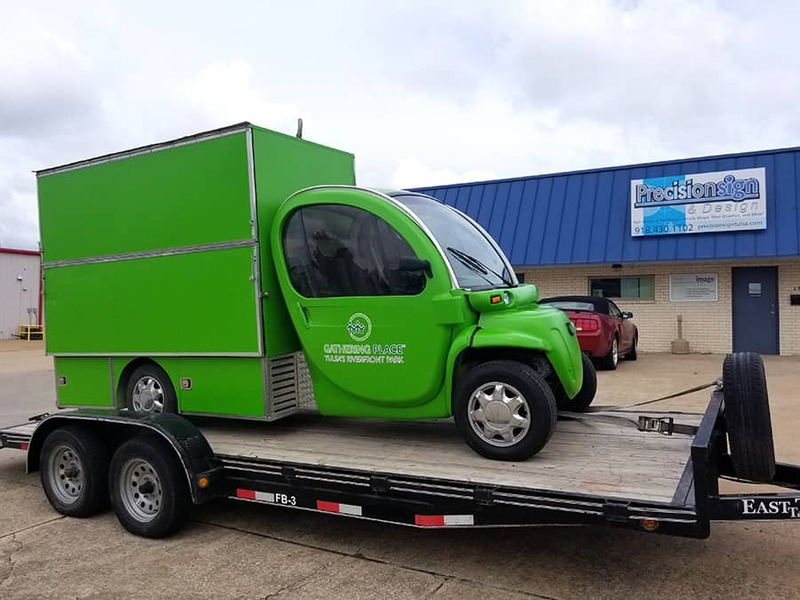 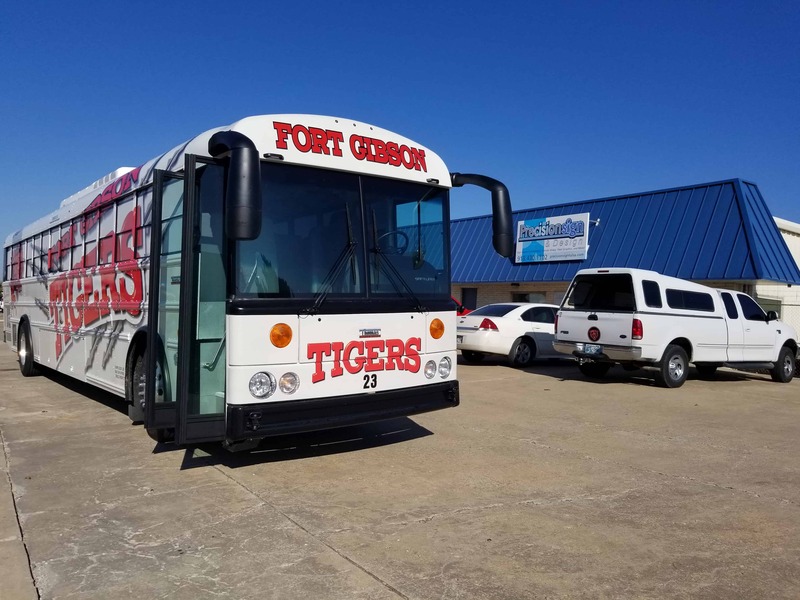 We can wrap nearly any vehicle whether it’s a service truck, van, bass boat, box truck, semi trailer, or an activity bus for a public school or university. 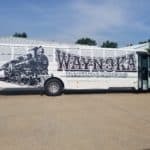 This entry was posted in Vehicle Wraps and tagged Activity Bus, Activity Bus Wrap, Branding Commerical Vehicles, Commerical Vehicle Graphics, Fleet Graphic, Waynoka School, Waynoka School Bus on August 22, 2018 by Steve Ballard.